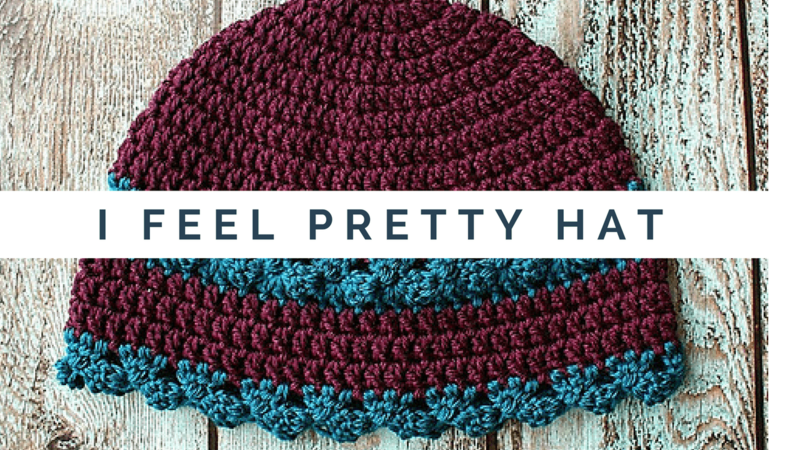 You are here: Home / Tutorials / Crochet Tutorial / Crochet Video / I Feel Pretty Hat – Video Crochet Pattern is now available! The I Feel Pretty Hat is now available as a Full YouTube Video Crochet Pattern. I have broken the video into 2 parts to make it easier for you to find the part you need. Part 1 begins at the very beginning of the pattern and it will walk you through every step of crocheting the hat, from Round 1 to Round 10. Part 2 starts at Round 11 and continues to the end of Round 16. Many of you have requested assistance with Round 11 and Round 12 so please proceed directly to Part 2 – as this video starts at Round 11. I would love if you can give the videos a “thumbs up” if you find them helpful 🙂 and please subscribe to my YouTube Channel too. Thanks for doing a video on the pattern. I really wanted to make this hat but just kept getting stuck on row 11 and 12. It really is a beautiful pattern. Oh and the quality of the video in showing the details of the stitches is great.